I embody both the skills of counselling and psychotherapy, blended with an additional knowledge from my studies in psychology which can help us to work through and understand some of the issues that are encouraging you to seek therapy. What this means for you as the client is I can tailor my experience and knowledge to you and what you want to gain from your experience in therapy. Once we know this I can be transparent in what we can do to achieve this how we can work through this together safely and at a pace that suits you. Please get in touch if you want to discuss your requirements further with no obligations. I work with anyone who requires counselling. I have experience in a wide range of ages, from age four upwards. I have worked with people who have suffered a wide range of complex issues and others who may have lost their way a little. Whatever your intention is for therapy you can be assured that by keeping the channels of communication open we can work through them together. Clients usually come for 6-8 sessions and this enables them to come to a place or way of being that is okay for now. Your expectations and your issues are unique to you and so we can discuss your needs when you get in touch. As I counsel children from age 4, a way this can be facilitated is through person- centred play therapy. 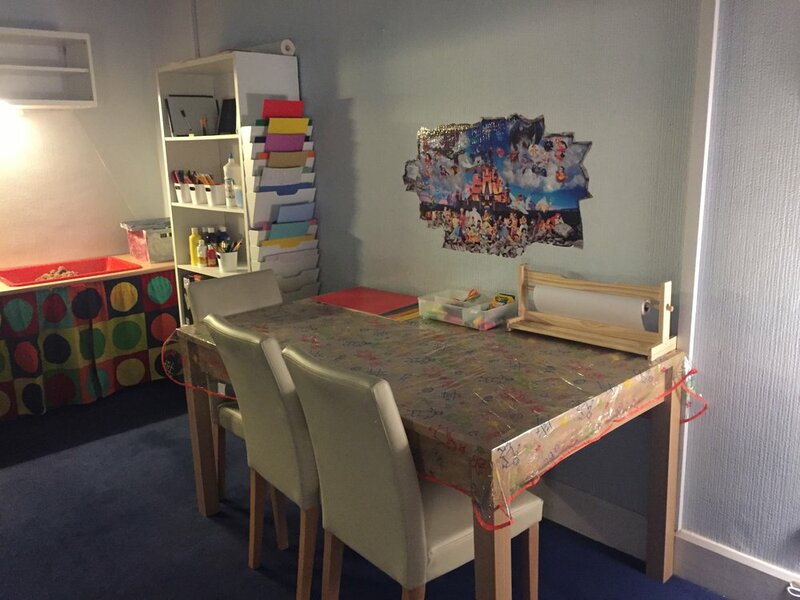 I offer these sessions within my specially designed office which facilitates person centred play therapy as well as a range of other therapies that can be discussed with you as per your requirements. If you wish to call me regarding your child I offer a free half hour phone call to assess your child for suitability. After this we can decide how best to move forward for you and your child. I work in a specially designed office in Airdrie Town Centre which offers a versatile flexible approach to therapy. This office offers a quiet, relaxing space to begin our therapeutic journey together. Click on the images below to view where I work and then, give me a call or email when you feel ready to take this journey with me.